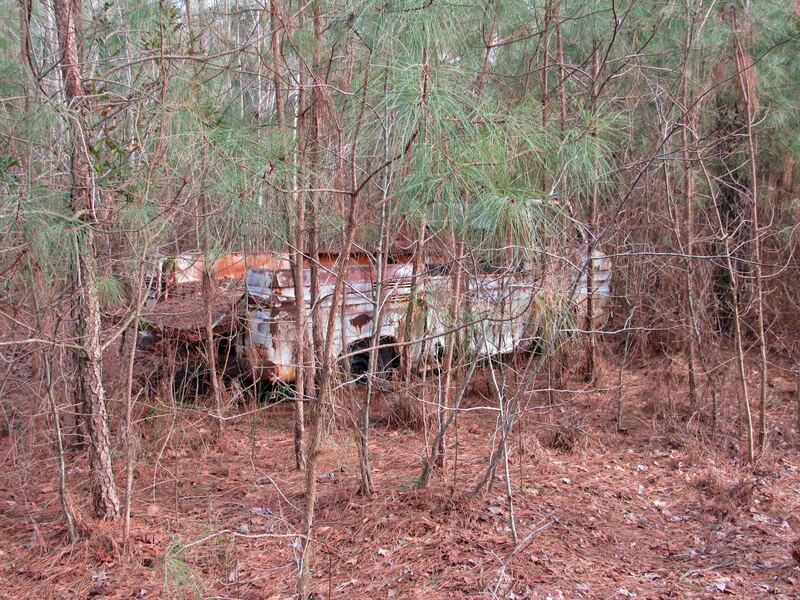 By no means am I any sort of Car Buff, but while walking through the woods on Saturday, Kathy and I came across this and it piqued my curiosity. It kind of looked like some sort of converted van. 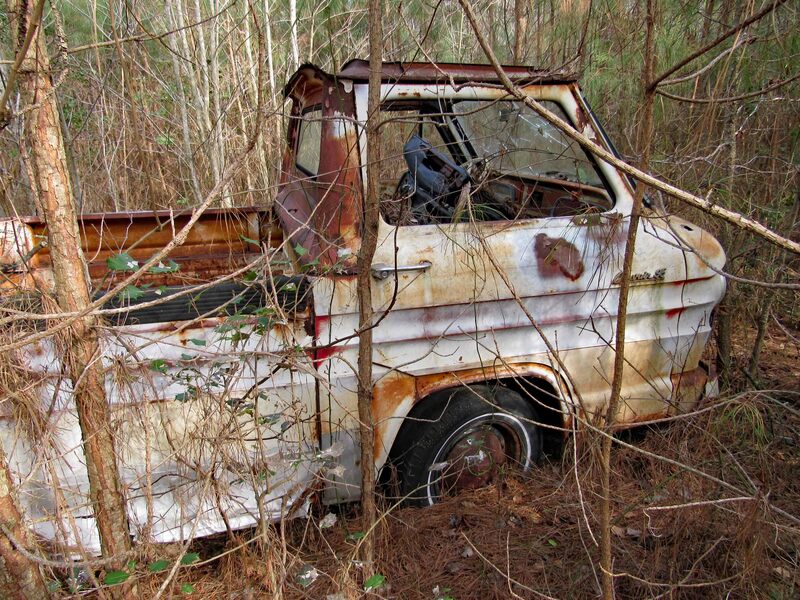 Getting closer I could see that it was a Corvair 95. Never heard of it. A quick internet search and this is what it is. 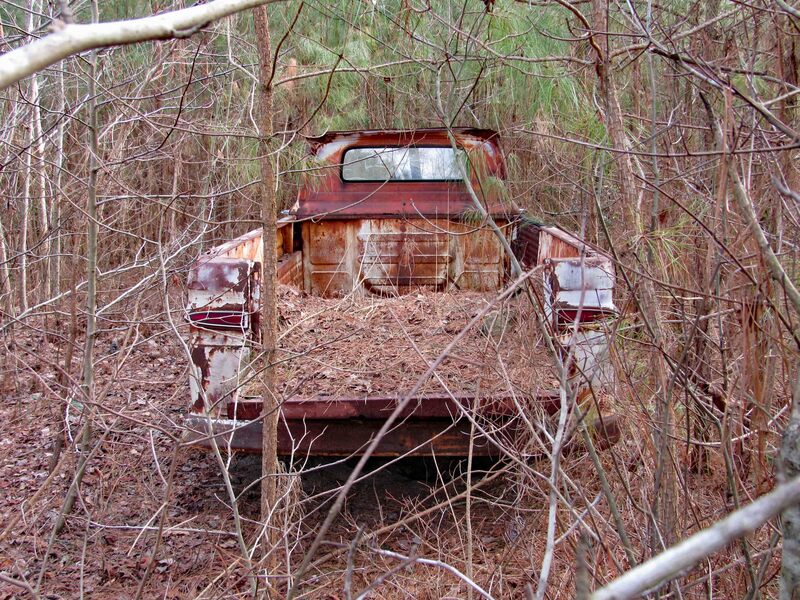 This version, sitting in the woods, is the 1962-1963 Rampside. 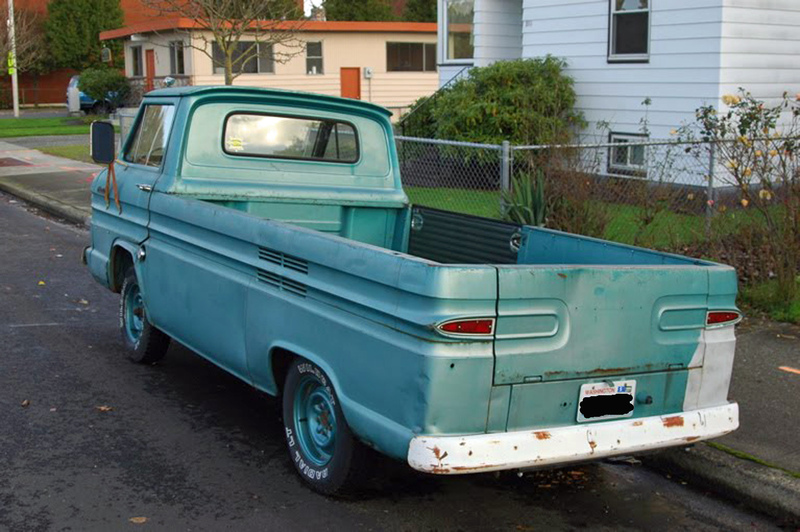 It has both a side ramp and a regular truck tailgate. The tailgate end of this vehicle sits higher than the front end. The engine is in the rear. The rampside is visible from this view, on the opposite side. And here is what a running one looks like. These vehicles cost $2,212 new, but they weren’t well received. Only 2,046 were sold. A place in Minnesota is selling one for $5,500. A van with its back top cut off? What an odd concept! That’s why they only sold a couple thousand of them! 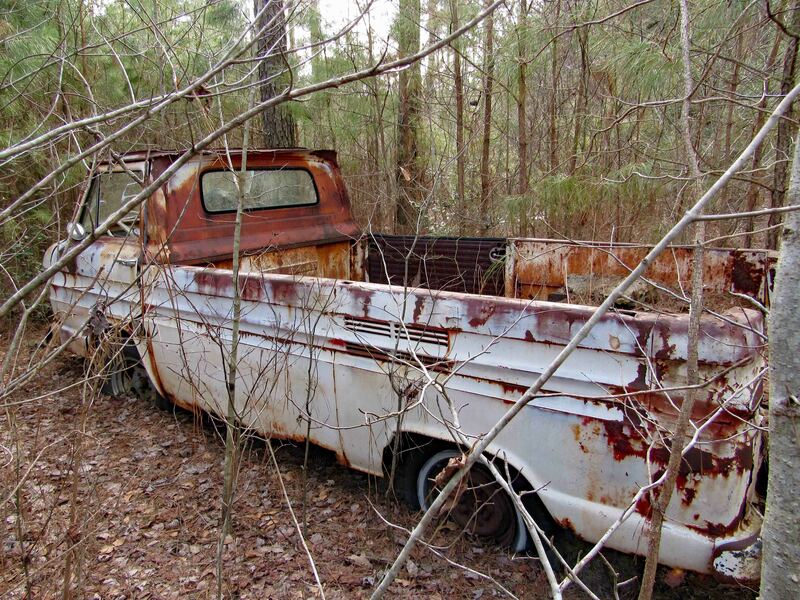 It’s a Corvair “Rampside” one of the truck varieties of the 1960s Corvair models. 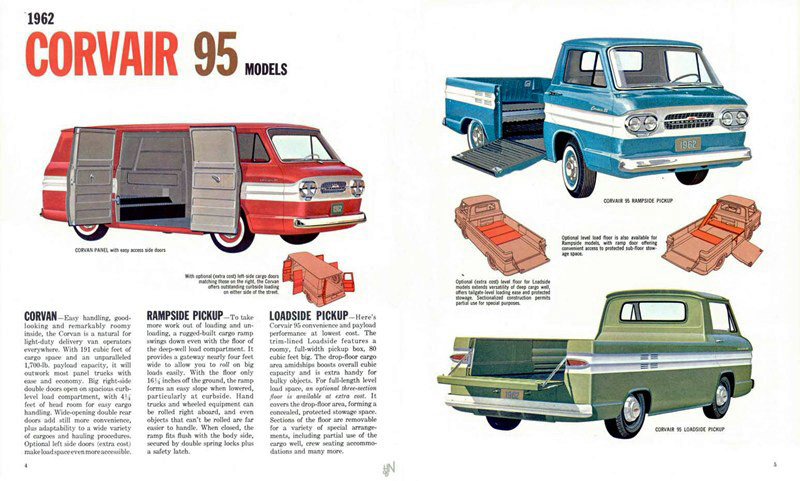 Over 17,000 Rampsides were produced over 4 years in addition to the Forward Control Corvan(58,000+)and Greenbrier (Station Wagon/”bus”) (50,000+) models .Produced in 1961 thru 1964 they were Chevrolet’s first entry into the van & small truck market competing with VW, but with a more powerful 6 cylinder air-cooled engine and lower height overall.